This deluxe tin is perfect for sharing with those who enjoy snacking on mixed nuts. 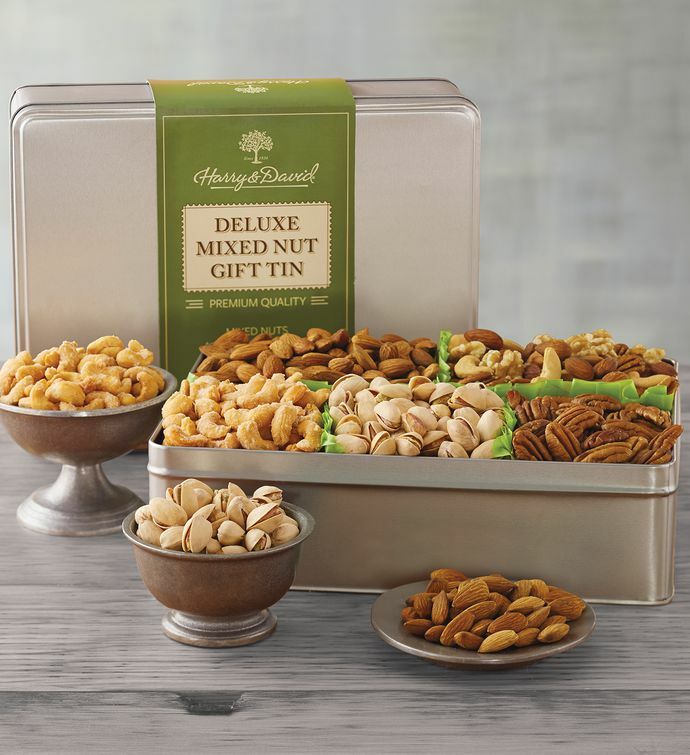 Arriving in a reusable, lidded tin, this collection includes over two pounds and five different varieties of premium nuts: pecans for a savory and salty snack, unsalted roasted almonds for a wholesome one, and honey-roasted cashews for the sweet tooth. Mixed nuts and pistachios round out this delicious assortment.